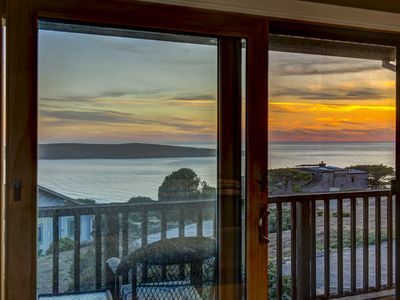 ‘BAY VIEW' FROM A CHARMING 5 STAR HOME! 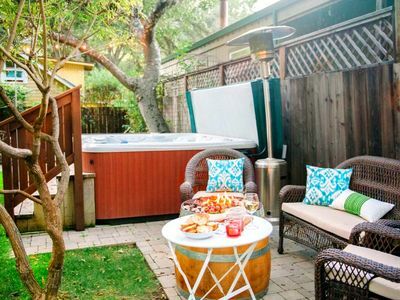 FENCED YARD & SPA! NEAR EVERYTHING! We respond quickly to inquiries. If you have dogs, kids, questions or wish to find out about any current specials please be sure to send an inquiry message or call before choosing to Instant Book. 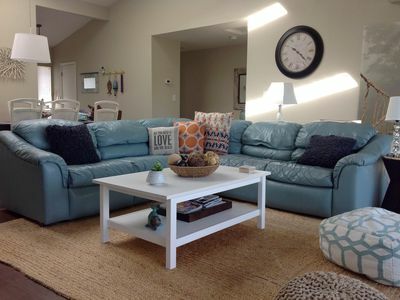 Also be sure to read house rules before instant booking! 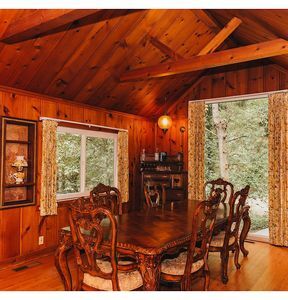 Would you enjoy the cozy pampered feeling of an inn but prefer the privacy, convenience and space of a home? 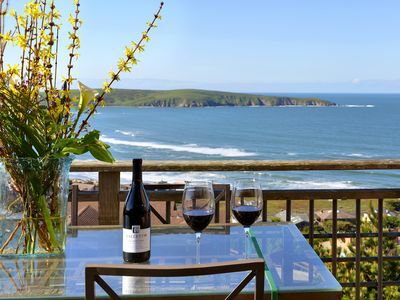 Welcome to 'Bay View' (2 time Excellence winner on major travel site)! 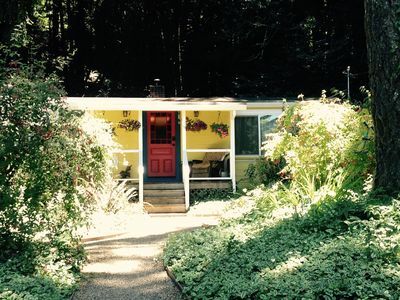 This beautifully remodeled coastal cutie is perfect for one or two couples (and comfortably sleeps 5 adults) who want to enjoy a comfortable and relaxing retreat. 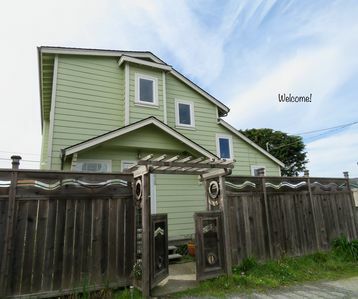 This spacious 1500 sq ft remodeled home has an open floor plan with unique tree captioned views of the north end of Bodega Bay (visible from most rooms). 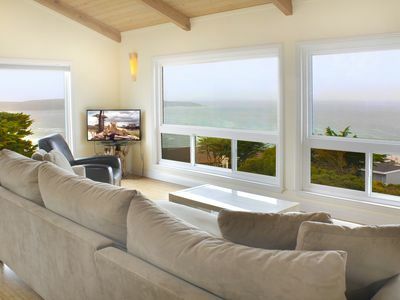 Bay View's decor is best described as sophisticated beach, with artwork from Sonoma Coast artists throughout the home! 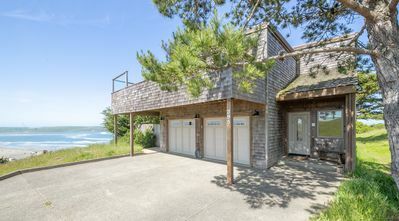 The home's layout allows you to visit with guests in the large newly updated kitchen, living/dining room, bar area, and sun room while enjoying the view of the bay. 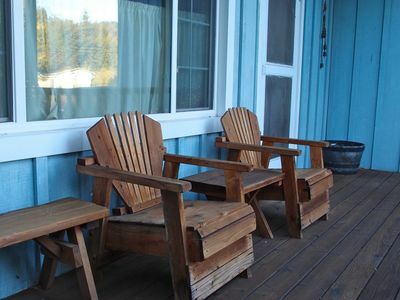 There are 2 beautifully decorated bedrooms, with queen size beds with heated mattresses. There is a spacious main bathroom with soaking tub/shower combo. 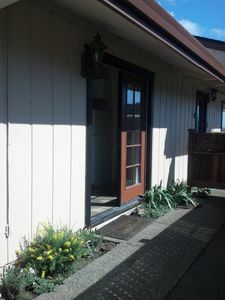 private access from both bedrooms, a large granite vanity, and heated towel rack! 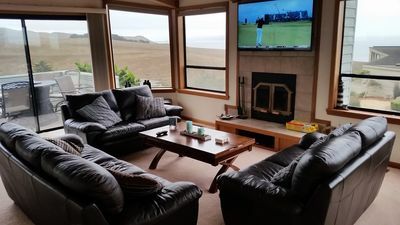 A cozy double bed with a memory foam mattress provides additional space for an extra guest or two, and a great place to relax and enjoy the view or watch streaming movies. A second full bathroom, dressing area for guests sleeping in living room), and laundry is conveniently located off the main living space. This area also contains a large desk area with a handy electronics charging station and printer. The 10 foot glass mosaic topped bar opens the kitchen to the great room and provides a fun place to sit and visit with the chef(s) in your group and enjoy a glass of Sonoma Coast wine. 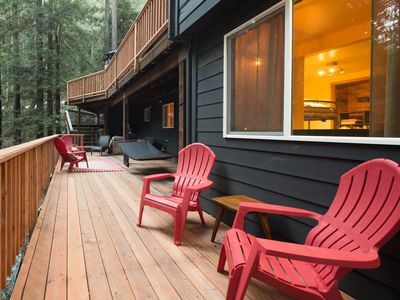 Relax in our enclosed sunroom that leads outside to the 450 square foot deck and large sunny wind-protected fully fenced yard where you will find the seasonal fire pit/conversation area, a gas BBQ, and new Sundance spa and patio. 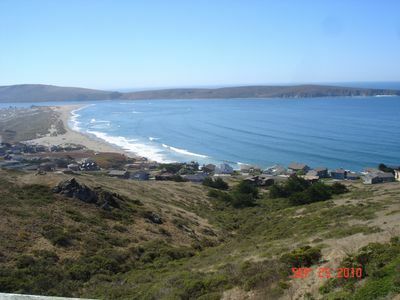 “Bay View” has a rare view of the tip of the north end of Bodega Bay (captioned by redwoods and cypress trees) and the road to Bodega Head. The view changes constantly with boats heading out to sea during the day and returning home at night. In the evening the view is softly illuminated by fishing boats and local inns. On a clear night the sky is filled with stars to enjoy while relaxing in the spa. 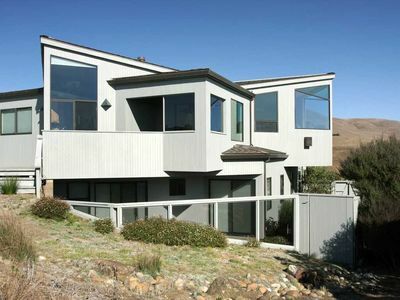 Centrally located, the 'Bay View House' sits on ¼ acre at the north end of the town of Bodega Bay. 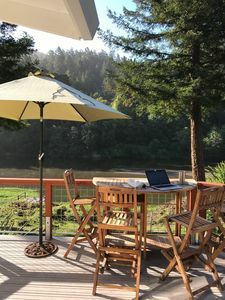 Located close to the Ocean, the Bay, and Town our location provides convenience while still providing privacy and solitude. We are less than 5 minutes from Everything! There are many things to explore both on foot and by car. 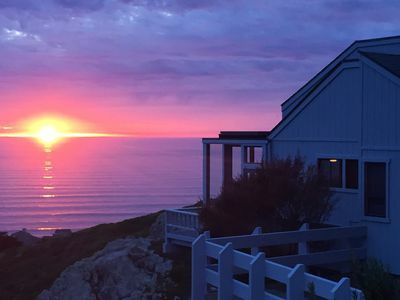 Whether you spend the day exploring or just relaxing, you are sure to enjoy our cozy coastal retreat. Guests using Instant Book but speak to the owner within 24 hours to provide all guest names and contract specifics. Thanks! Booking Guests are required to speak to owner within 12 hours of their booking request to provide contract information. Guests with pets or small children please be sure to read house rules or contact us via phone or the inquiry form before booking. We always respond promptly (usually within an hour). 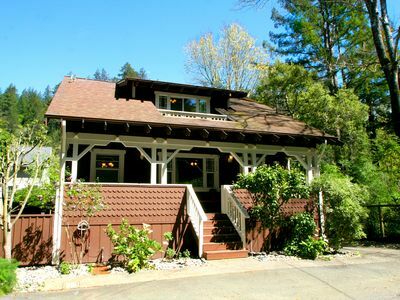 Quiet Guerneville Cottage w/ Redwood Forest Views! 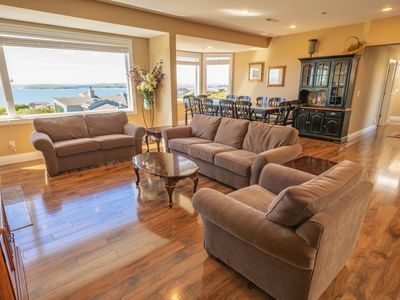 Luxury, Breathtaking Views, 6 Bedrooms/5 Full Bathrooms, 3,800+ s.f., Golf Disc. 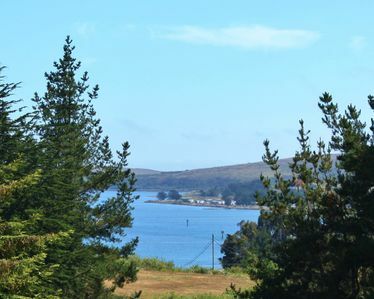 Stunning Views and Walk to the Beach! 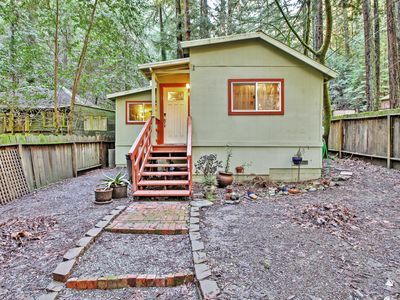 This hillside 3 level home with lots of room to roam.